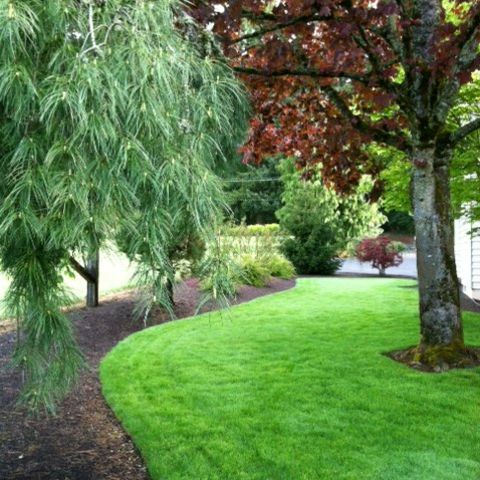 You don't always have to tear out your yard and start over from seed or sod. Many times you can save and bring it back to health by following these simple lawn renovation steps. Most people have never heard of a power rake. Otherwise known as a de-thatcher, a power rake is a machine with flails that aggressively spin and rake the moss and thatch that sticks to the soil. 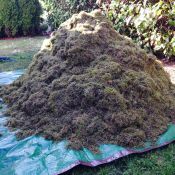 Moss and excessive thatch can strangle your grass, making it difficult or impossible for grass to grow and spread. 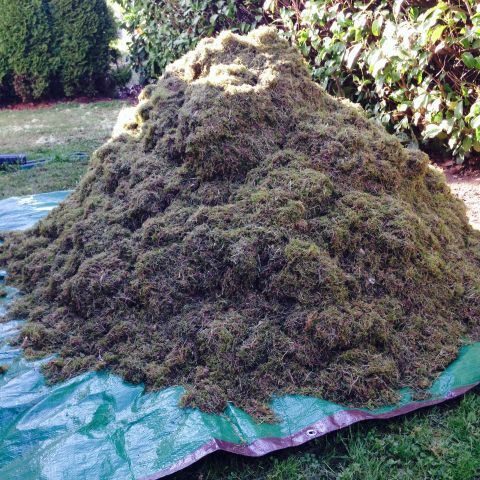 Next gather all of that thatch and moss using a debris vacuum, a leaf blower, a bagging lawn mower or just a spring rake. 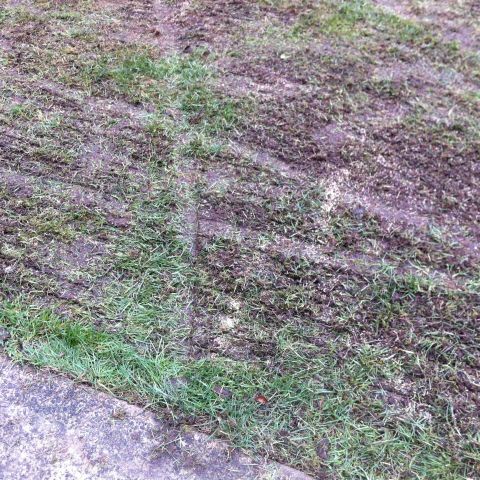 Be prepared because it's astonishing the amount of material that gets stuck to the surface of your lawn. Depending on the size of your yard, you may fill up your yard debris bin or even have several truck loads of material. Think ahead and make sure you have a location, bags or a dumpster set aside for the debris. 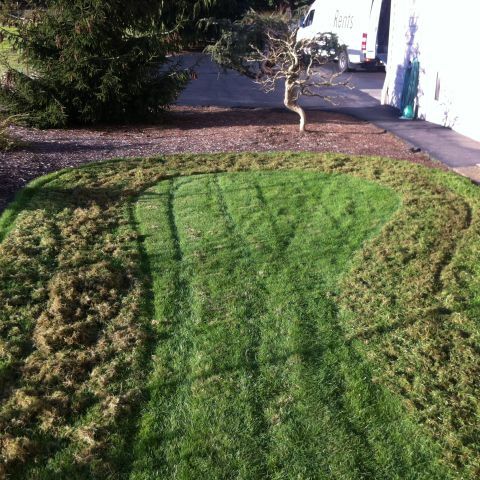 Lawn aeration is an amazingly simple process that has significant benefits for your yard. A lawn aerator is a machine that takes thousands of little cores out of your lawn. It drops those cores onto the ground so that they can later dissolve back into the soil. 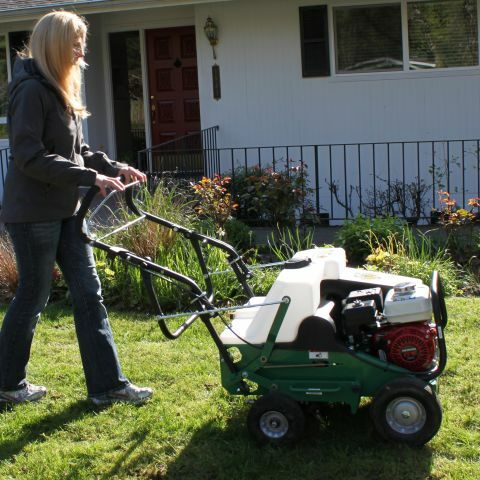 Drive the lawn aerator over every square foot of your yard. Most people complete multiple passes in a diagonal directions (creating an "X"). 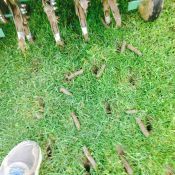 Ideally you will see aeration holes that are about 2 inches apart on average and between 1 and 3 inches in depth. If aerating on days that are over 80 degrees then irrigate your lawn after aeration. 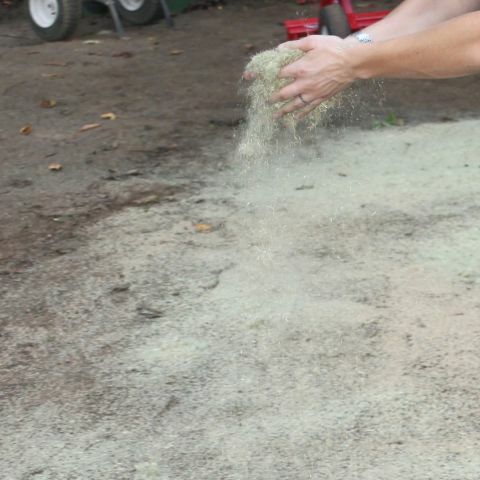 This will prevent your yard from drying out too quickly. We do not recommend removing the plugs. They will dissolve back into the ground and provide a great protection against thatch. Now that there are thousands of holes in your your lawn, you can push Turface (or another top dressings of your choice) down into those holes. Filling the aerification holes with porous material will reduce compaction and hold moisture and nutrients that benefit the turf. 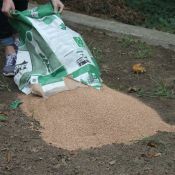 Use a broadcast spreader to spread the Turface out across the lawn at a rate that should not exceed 10 bags for every 1000 square feet of lawn. Once the Turface is spread out on the surface of your yard, use a push broom or a drag mat to push the Turface down into the aeration holes. 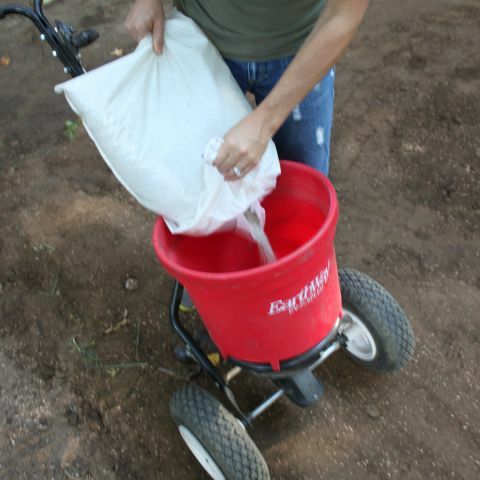 Use a powered overseeder (otherwise know as slit seeder) to distribute fresh seed into the lawn. 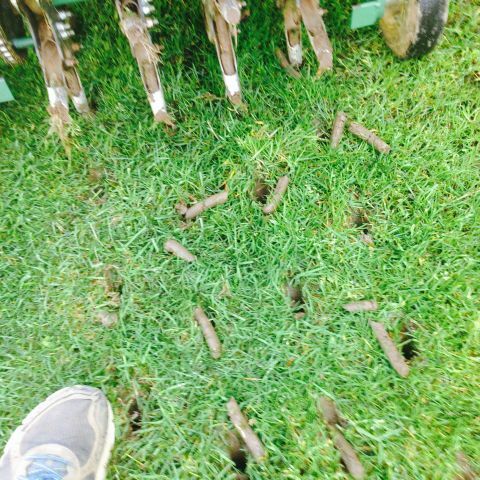 This machine not only overseeds the turf, but it also "pushes" seed down into the soil. This seed-to-soil contact helps increase the probability of seed germination. Don't be too conservative with the seed. More is always better. When you're done overseeding, then you should see many little grooves in your soil where seed has been pushed down into the ground. Now it's time to fertilize the lawn. Make sure to pay attention to the fertilization rate on the bag of fertilizer. Warning: over-fertilizing can harm your lawn. Also, keep fertilizer off of concrete as it can stain the concrete when it becomes wet. Use a broadcast spreader to distribute the fertilizer. 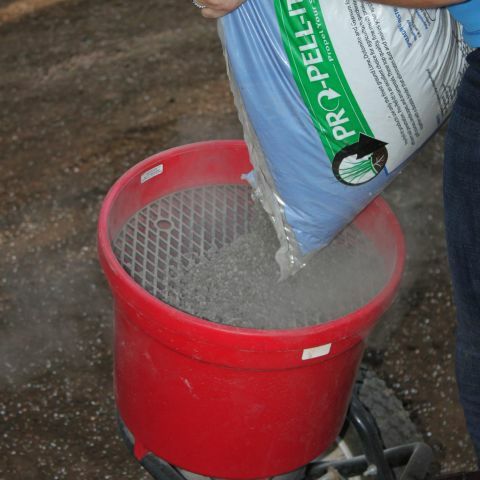 We recommend a pelletized lime that can be easily spread out across the grass using a broadcast spreader. Drop a thin layer of grass straw mulch over the area that has been overseeded. This will provide some protection for any seed that was not pushed down into the ground by the slit seeder. Additionally, it will act like a sponge against the new seed, helping to keep it damp for longer periods of time between irrigations. While waiting for the seed to germinate, it's important to keep the soil damp for as much of the day as possible. Lightly irrigate the lawn several times each day. Never soak the grass in a way that might form a puddle. Mow the lawn after about 10 to 21 days or whenever your grass has grown to a height of 2 to 3 inches. 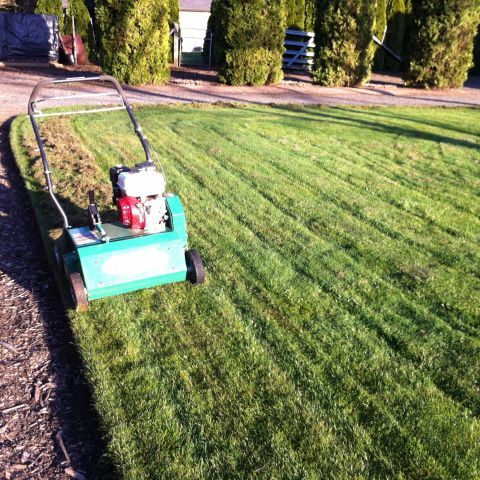 Never mow more then one-third of the grass height and use a sharp blade each time you mow. You want the mower to slice the grass, but if the blade is dull then it will rip the grass instead. It's also important to alternate mowing directions each time you mow. This helps prevent ruts from forming in your yard. 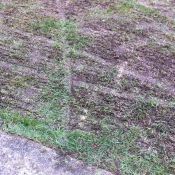 Finally, never mow when it's raining or wet because this can cause compaction to your yard. Once the new seed is growing and healthy, switch your irrigation patterns. Now you want to irrigate in the morning when there is less wind to diffuse your spray. The risk of disease is reduced when soil dries out with the morning sun. Make sure to completely soak the soil so that its wet deeper down into the ground. This causes the grass to spread roots straight down instead of lightly across the surface.